Whether home to lively group conversations or encounters with exhilarating new artisanal techniques, a space connecting us to rewarding experiences connects us to each other. 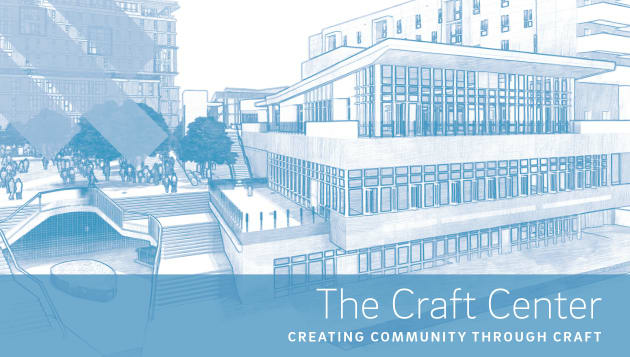 With philanthropic support, the North Torrey Pines Craft Center at UC San Diego will be that place. At the heart of the North Torrey Pines Living and Learning Neighborhood, the Craft Center will provide space for unique experiences to all members of our community – students, faculty, staff and our San Diego neighbors – while hosting creatively conceptualized events linking individual interests to growing communities. The design enables the inclusion of favorite classes from the past, like ceramics, while welcoming new programs, like surfboard shaping. To supplement a core course catalog, the space has the architectural flexibility to accommodate activities blending the soul of the past with new interests in the future. Inside the Craft Center will be a mix of classrooms, dedicated studios and facilities with specialized light-industrial equipment such as kilns, ovens, and printing presses. With architectural features such as glassed-in instructional space, the Craft Center sparks curiosity and invites participation. Versatile indoor/outdoor transitions optimize the special year-round advantage of our coastal climate. These spaces will house activities to activate connections, conversation, and community.